Shop by ThemeThere are no products. Looking for a specific style? 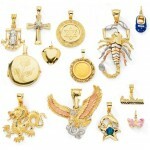 If so you can search by theme when you shop with International Jewelry. We offer a huge variety of styles so why browse through everything when you have a general idea of what you want? We offer a lot of different styles including animals, cross, flowers, hearts, rose. No need to spend so much time searching; just go straight to the selection that fulfills your need.